Our master technicians and installers Andy, Andrew, and Jesse helping us at the Spring Home & Garden Show. Thank you guys! 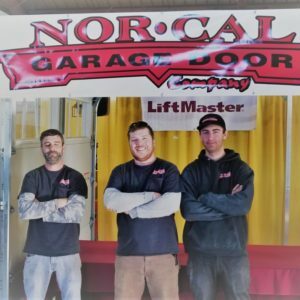 Our showcase garage door was the Steelhouse Carriage Door that people commented was modern and would definitely update the look of the front of their house. 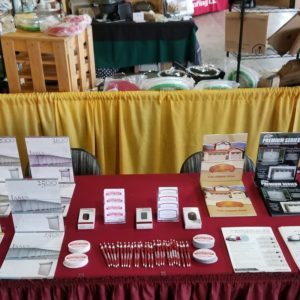 We had a successful garage door and Liftmaster side mount electric opener showing at our local Spring Home & Garden Expo Show at the Anderson Fair Grounds! 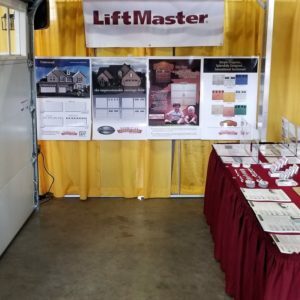 This was our first year doing the show and showcasing our Steelhouse Carriage Door that is metal back insulated and available in many unique designs and glass options. 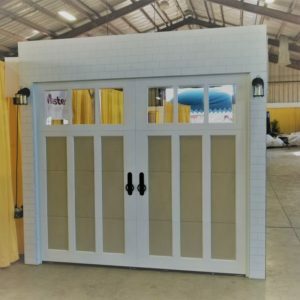 Call us today #(530) 241-7329 to get a free quote and estimate for the Steelhouse carriage garage door for your home or shop building!